We are Local Roots Farm – a 15-acre diversified vegetable farm located about 20 miles East of Seattle, nestled on the flood-prone banks of the Snoqualmie River. We grow a vast array of vegetables: radicchio to rapini, parsnip to parsley. 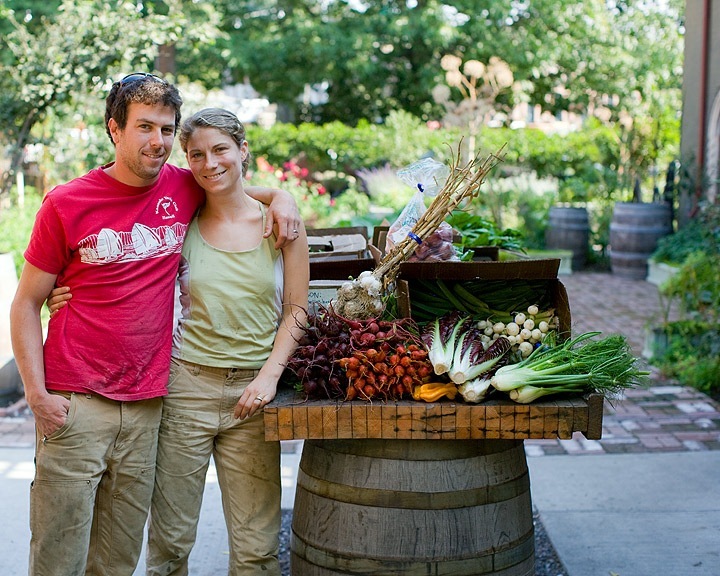 You can find us on the interwebs at www.localrootsfarm.com. You might also catch a glimpse of us at Seattle-area farmers markets, driving around delivering vegetables to the best local restaurants or to our CSA customers, or hosting an amazing dinner in the middle of our fields. And speaking of those farm dinners, if you are interested in attending one, please send us an email (jason at localrootsfarm.com) and we’ll put you on the email list, where we’ll inform you of all the pertinent details once they become known to us. I just moved to Stanwood, WA from PA and miss the Farm near me http://www.willowcreekorchards.com/ where Farmer Drew Smith interacted with his suburban neighbors in many ways. During the summer he gave “vegetable and fruit growing instructions” . Since I and most students had only an acre to cultivate, Drew’s lessons were more educational than practical for our needs. We loved the class and were among his best “U-pickers”. Your April Day Fools Flood was very interesting to me because I see flooded farm fields whenever I go for a walk and was wondering about them. I had not seen such wide floods in PA. Instead our streams just became Rivers. Some of my neighbors had their small plots tilled, but I never felt the need. You describe the problem of the floods eroding newly tilled soil. Could zero-tillage practices reduce the erosion? Wikipedia has a fascinating section on no-till farming. Welcome to the Northwest! We don’t do any u-pick stuff on our farm, but we do take volunteers. Contact me if you are interested. As for no-till, people are experimenting with no-till technology for vegetables, but currently the technology is unproven and very expensive. Most no-till stuff these days is done with perennial grains and pesticides are used to kill the perennial weeds. I have a question about seeders. What would you recomend to seed mesclun greens thick enough to be harvester with the greens harvester from jonny,s seed. We don’t use a greens harvester, but we do sow our mixed greens fairly thick. When we used the Planet Jr. seeder we just used a big enough hole that the seed came out at about 4 seeds per inch (hole size would vary depending on the type of seed). With the Jang seeder that we use now, we use the roller with the large + shape hole both for seeding mustard family items (mizuna, arugula, cress, etc), and for lettuce and endive. It picks up quite a few seeds with each hole, and we get an even thick stand of plants. hello! Do you need voluntaries?